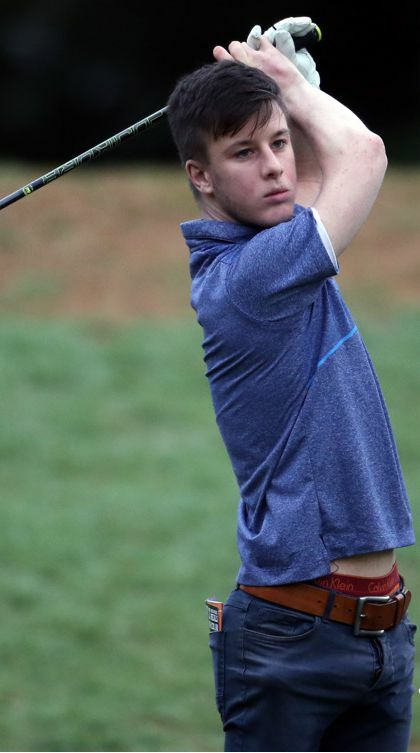 Tony Bennett talks with EDGA golfer Brendan Lawlor who has a rare condition called Ellis–van Creveld syndrome, characterised by a shorter stature and shorter limbs. 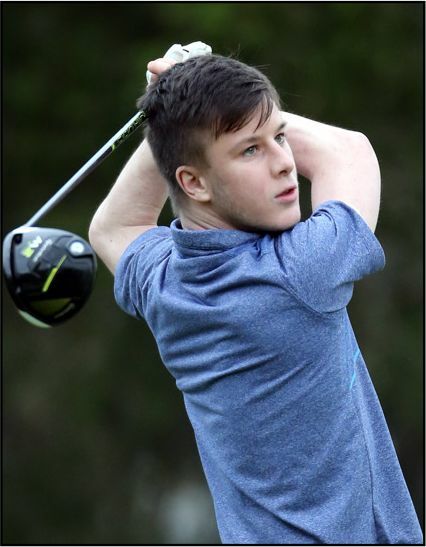 Aspiring Irish golfer, Brendan Lawlor, has won many competitions in Ireland at the provincial level, in the juniors when aged 16, and at the adult level when he turned 17, which makes him the youngest person to win that championship at the time. Brendan has a rare condition called Ellis–van Creveld syndrome, characterised by a shorter stature and shorter limbs. However, despite his disability, he expresses with confidence that he is still able to lead a normal, happy and healthy life. Although he is new to playing golf on the EDGA tour, Brendan is not new to competition. He is certainly one to watch as he shares his aspirations to compete and win more tournaments in the near future. How did you get involved in pitch and putt Brendan? When I was younger, I played a lot of pitch and putt. I didn’t have the strength for golf. When I was around five years old I had a club in my hand and I was hitting it up and down the garden, and then there was a local club which I joined and practised every day. The older I got, the more I started to enjoy golf because I started to win competitions. You’ve won a few competitions and in Ireland, golf is set up with a national federation that has both Northern and Southern Ireland with different provinces. These can be thought of as regions. You won at the provincial level at 16, and when you turned 17, you won at the adult level as well. That was in Cork. I was only one under in my first round. I was seven shots back after the first round, so it was a lot to catch up with. Then I shot 11 on my second round, which I won by 4 shots in the end so I was delighted. I won my All Ireland in Meath. That was one of my best achievements in pitch and putt, the adult All Ireland because there were a lot of fantastic pitch and putt players. I won all of my three majors for 12 under. That was a big win because you were probably the youngest person to win that championship at the time. I was the youngest. They made a rule that year to let under-18s in to get more young people playing to boost the game and create more competition, which is a good idea I think. What is your disability and how would you describe it? It’s a rare condition called Ellis–van Creveld syndrome. It’s when you are shorter in stature, with shorter fingers and shorter limbs. Not many people have it, but I wouldn’t really see it as a condition, but I’m happy enough as it doesn’t affect me. Golf helps me deal with it. When you realised you were a little bit different, how did you deal with those feelings? To be honest, my family was a good factor because they never treated me any differently. I’ve lived my whole life feeling normal and that was the key factor. Just be yourself in any situation and do the normal things that a normal person does. Can you remember what you first wanted to do for a living when you left school? When I left school at the age of 18, I worked in the family business as a salesman and I really enjoy that, but obviously golf is my main priority. I was playing golf to enjoy it but when I found the EDGA, it just makes me want to play more. Tell me about the members of your family. Did any of them play golf? My grandad was very much into golf. He wanted his grandchildren to take the sport up, and I was the one who did. Also, my cousin plays golf off scratch and he’s actually coming to watch me play in Troia in June. Are you a member in a golf club? I joined Dundalk last year. It’s more convenient as I work in Dundalk, so I after work I can go and play. What about pitch and putt? Are you still playing any of that at all? Very little pitch and putt, but I think I’m going to go back because my short game used to be phenomenal, but now, it’s not where I want it to be at the moment. Pitch and putt helps you on your short game and distance control. I might get involved in pitch and putt competitions, not to win but to have a bit of fun. Do you see golf as fun? Is that the way you approach it? I love golf and I find that it is very fun. When you see your handicap dropping and you see an improvement, it makes you love the game even more as you’re seeing results. Have you had any coach to help you reach your potential? And are there any particular shots that are causing you difficulty at the moment? I’ve never had a coach and I didn’t get a lesson prior to this. I’m planning to get lessons in my short game. I find from 60 yards difficult. In Troia, I was laying up 60 yards every time, and I didn’t get up and down which was getting a bit frustrating. So I think I’m going to practise working on the 40 to 80 yard range for the next tournament. What about heroes or role models that you’ve looked up to as you progress through your career so far as a golfer? I’d say Pádraig Harrington. I met him in Baltray when Shane Lowry won the Irish Open in 2009. He comes across as a lovely guy. What would it feel like if golf was taken away from you? That would be tough, but if you took golf away from me, I’d just have to find any hobby that I’d have to get good at because I like moving. Do you have any goals in mind that you would be prepared to share? I’ve just started in the EDGA and I want to reach a high level at that. I want to get up the ranking system and win more events and continue competing. What would you do to change golf for the better? EDGA is doing a lot for golf and it’s giving people with disabilities a chance to reach a high level, which is fantastic. For example, the adaptations on the wheelchair buggies – they are amazing! 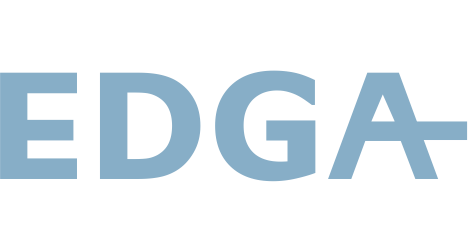 What the people are doing at EDGA is very inspiring because people are facing their challenges and getting fulfilled doing what they love to do. At the beginning of this year you went out and won the golf course at EDGA. What do you think about the golf course there? I think it’s unbelievable and it’s not easy at all…on the first day, we had lovely conditions and I shot a 74, which is a good score as it is a tough course. I’m really looking forward to going over in June – I’m curious to see who wins it. Which piece of equipment brings you the most joy? I love my driver. I’m more accurate with a driver from 250 yards than I am with a wedge at 80 yards. You’ve been to the Darren Clarke Golf Academy and you’ve made the team there, but of all the things you’ve learned, are there any takeaways that you think others can learn from? The big thing is to never have a score in your head when you go out in the golf course because any score can win. Keep in mind that everyone can have a bad day, and if it’s going bad don’t panic. If you could play a four ball whom would you pick and why? Harrington because he’s Irish and obviously Tiger Woods – I think he is the best of all time. I’d also pick Kevin Hart, the funny actor; I’d like to play golf with him too! For somebody who has a similar disability to yourself, what advice would you offer them about golf and life in general? Be yourself. Act normal because you are normal. You may look different but you still have the same emotions and you’re still living your life the same. If people want to get in touch, how can they find you? They can reach me by email at brendan.lawlor1997@gmail.com or I’m on social media if anyone wants to get in touch. 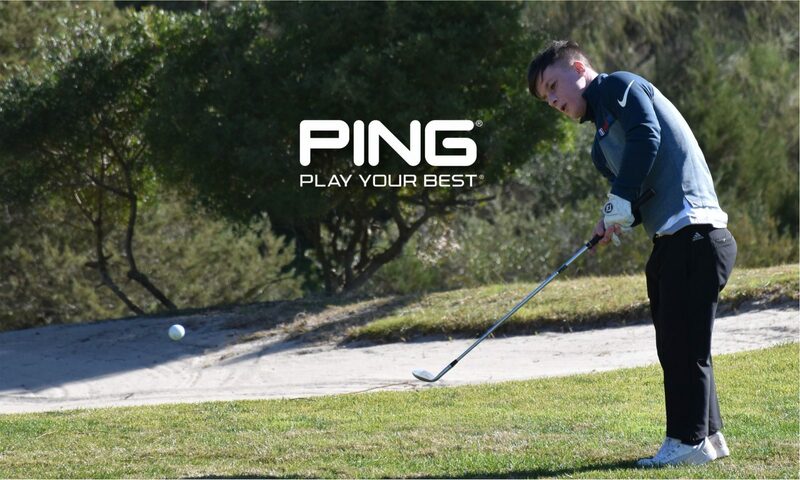 Brendan Lawlor is a relatable young man whose confidence shines through as he shares his early achievements and aspirations to win in the game of golf and life. The sport has helped him to deal with his disability as he shares some sound advice: remember to be yourself, and just because you may look different, you can still lead a normal and fulfilling life.